Hmm we did all the steps correctly but face this exception while running the CustomLogin Page. 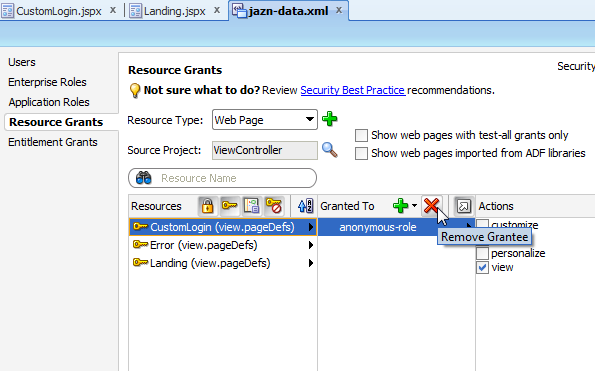 So while troubleshooting the problem, figured out that there is some problem with jazn-data.xml. 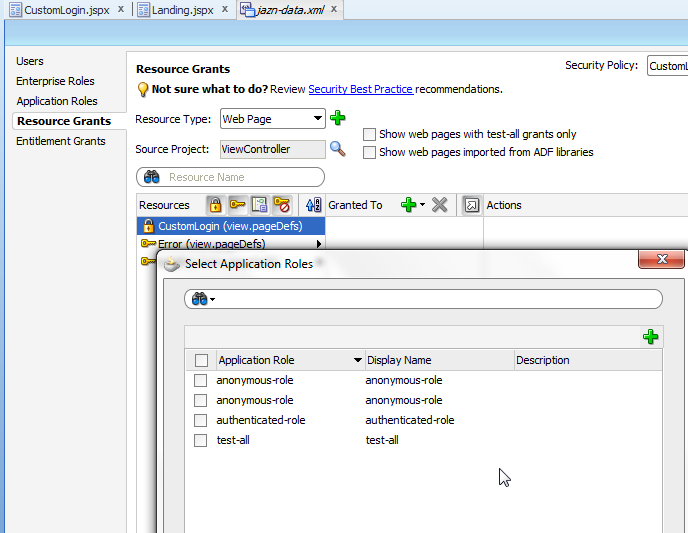 First lets removed the annonymous-role which is been given to CustomLogin.jspx. Now if we again add the anonymous role see below what is there . Oopssss !! This is not what we expected. This is the root cause of the problem. 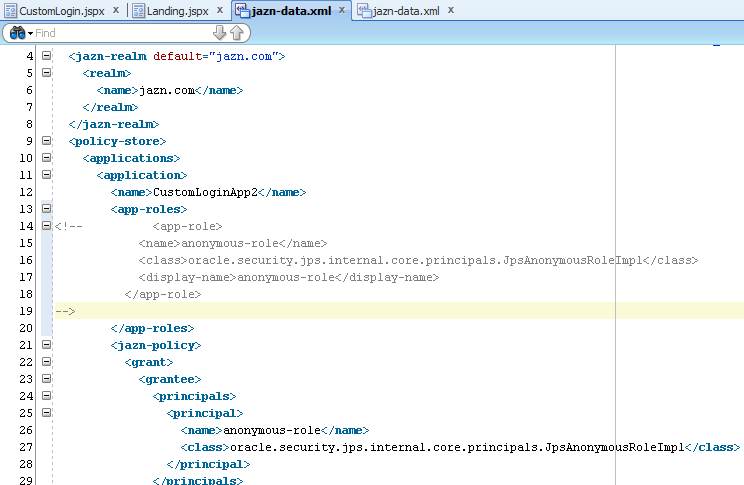 Now open jazn-data.xml and comment the below code. 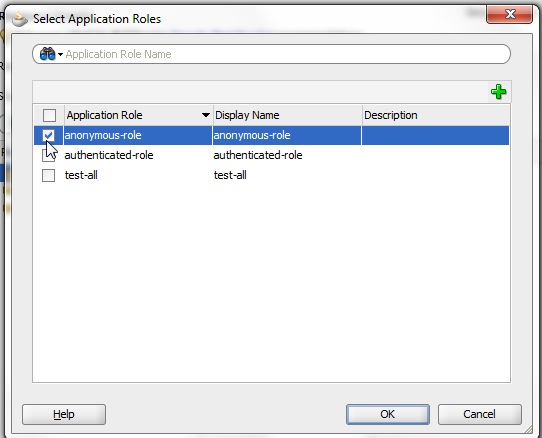 Now if we again click on add roles, we will see now only one annonymous-role. We are done now. Run the page again. We are greeted with Custom Login page and Exception is gone.